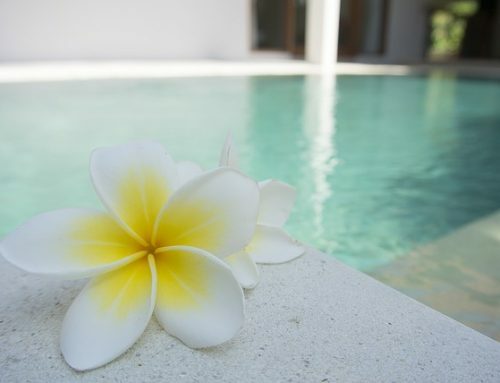 Relaxation is the central quality owners look for in their backyard oasis, but determining when swimming pool repair is needed for Clearwater owners can be a grey area. Some people have a minimalist attitude, thinking as long as there’s water, and it looks clean, everything is fine. Others do not know what to think of certain characteristics of their pool, so they ignore them or worry without taking action. You’re probably here to educate yourself so that you do not fall under any of these categories; you want to be sure you’re on top of things and prevent a worse situation. Perfect! We’re here to tell you exactly when you need swimming pool repair at your Clearwater residence. The lining is an often damaged area under the water. It can rip and result in a leak or have water build up under it. Water building up under the lining can be identified by a deformed surface with bubble-like pockets. A leak is more obvious in above-ground pools, as the water level will drop at a noticeable rate. Below-ground is a bit more challenging to diagnose. This is because water can be held between the concrete surface and the lining without leaking into the ground. 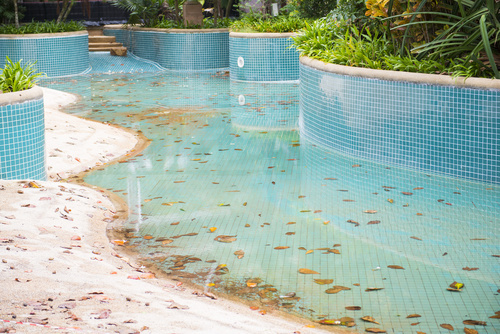 Cracks in the concrete can mean that it is leaking, but the best way to determine if there is a problem is to call our swimming pool repair technicians in Clearwater to have us inspect it carefully. Problems you can’t see up close are a little more difficult to diagnose. Pumps and filters are essential machines that can run into snags; for example, your pump can develop an air leak and filters can become clogged. Unfortunately, there is not much you can do without the help of a Clearwater swimming pool repair technician. Especially because pressure tests and inspections of the filter and plumbing lines are necessary in these cases. You can familiarize yourself with the normal conditions of your oasis in order to tell when something is off. A noisy pump can indicate a number of problems (although, you should be aware that the pump makes some noise while operating), and an abnormal filter psi can be the sign of issues, as well. There are all different kinds of accessories you may have such as underwater lights, diving board, a slide, a heater, and a railing. Diving boards and railings can become loose or damaged, and can threaten the edge or the lining. A heater can have problems with its energy source, usually propane, gas or solar-powered. Details on these fixtures vary with the design and their position, so give our swimming pool repair in Clearwater a call at (727) 531-0473 or fill out our online form for a free consultation.